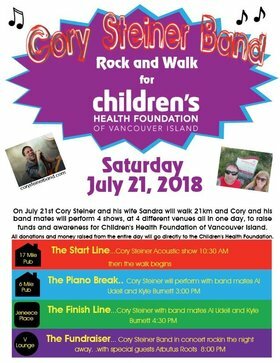 Cory Steiner Band is very excited to announce the Rock & Walk Fundraiser campaign to benefit the Children’s Health Foundation of Vancouver Island. 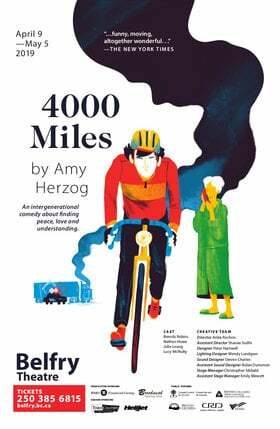 On Saturday, July 21st, Cory is going to walk 21km with his wife Sandy. Along the way, Cory and members of his band will perform 4 shows at 4 different venues: 17 Mile Pub, 6 Mile Pub, Janeece Place, and ending the night off with a live performance by Cory Steiner Band at V-Lounge with special guests Arbutus Roots. 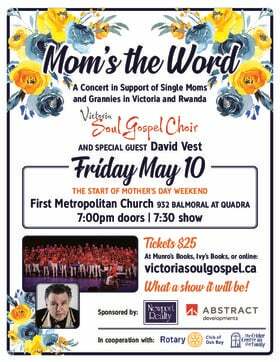 All proceeds from the entire event go to Children’s Health Foundation of Vancouver Island. Watch our video commercial - https://youtu.be/D59yb3ORtjk, and refer to the Cory Steiner Band website at https://corysteinerband.com/ and our Facebook page to find out more about the four Rock & Walk shows on July 21st.